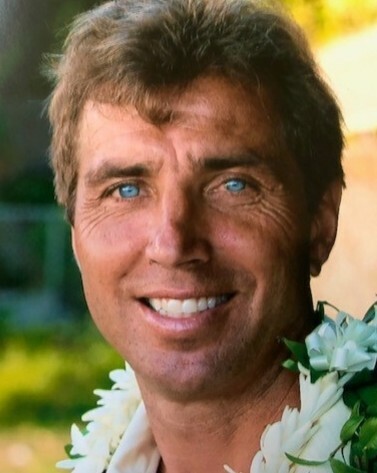 David S. Grasso, 59, of Plum Island, Newburyport, MA, beloved husband of Dale (Theberge) Grasso, passed away from an accidental fall on Wednesday, March 27, 2019. He was a graduate of Methuen High School, class of 1977, Northern Essex Community College and Essex North Shore Agricultural & Technical School. For 25 years David was employed as a coordinator of ground maintenance and athletics at Merrimack College in North Andover. He was a natural born athlete who enjoyed outdoor activities including hockey, hunting, fishing, and skiing. He was a Planet Fitness enthusiast and worked out daily. He loved captaining “Solus Per Aqua” as well as gardening with his son Nicholas. Due to his mechanical skills and work ethic, he was much in demand as “Mr. Fixit”. He was very proud of his son Jacob’s military service, his eldest daughter Kendall’s nursing skills, and his daughter Leila’s skiing prowess. He was looking forward to walking Kendall down the aisle in September. David was predeceased by his father, Maurice Grasso. He is survived by his mother, Patricia (Bartose) Grasso of Methuen; his beloved wife, Dale A. (Theberge) Grasso; his children, Nicholas Grasso of Byfield, Jacob “Jake” Grasso of Amesbury, Kendall Grasso and her fiancé Shayne Leary of Kensington, NH; Leila Grasso of Newburyport; brother, Mark Grasso and his wife, Kim of Dracut; his sister, Heather Machado and her husband Mark of North Easton, MA; many nieces and nephews; and his hunting companion, Hydro, his beloved chocolate lab. Relatives and friends are respectfully invited to attend visiting hours on Sunday, March 31, 2019 from 4:00-8:00 PM at Cataudella Funeral Home, 126 Pleasant Valley St., Methuen. Funeral services will be held at 11:00 AM on Monday, April 1, 2019 in the funeral home chapel. Burial will follow at Elmwood Cemetery, Methuen. For directions or to send condolences, please visit www.cataudellafh.com.